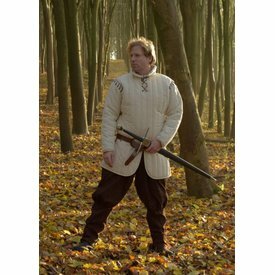 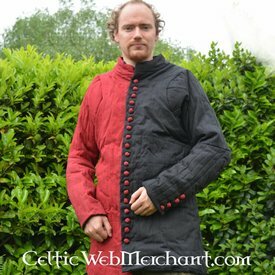 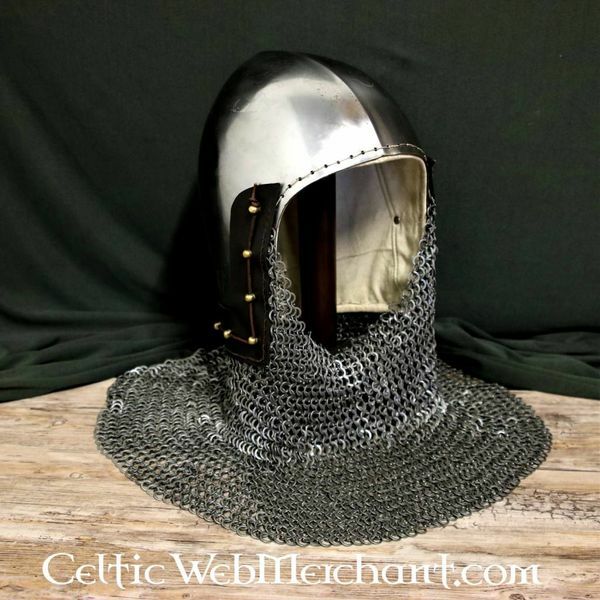 This bascinet is based on originals that were worn around the end of the 14th century and the beginning of the 15th century. 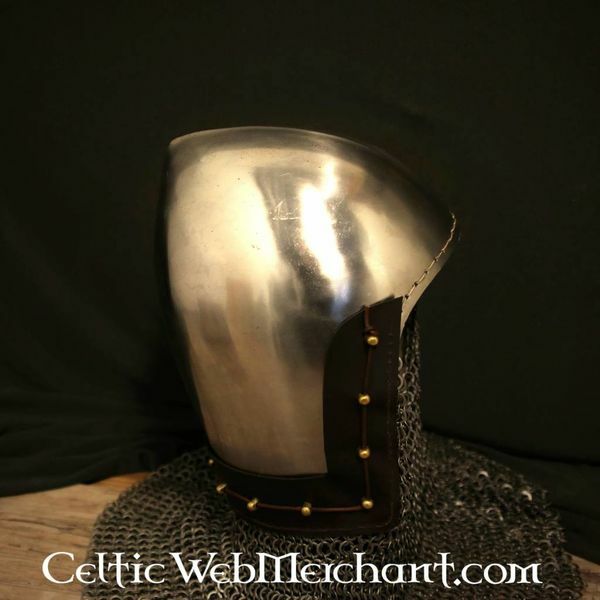 Contrary to its predecessors the upper side of this type of bascinet slightly tips backwards. 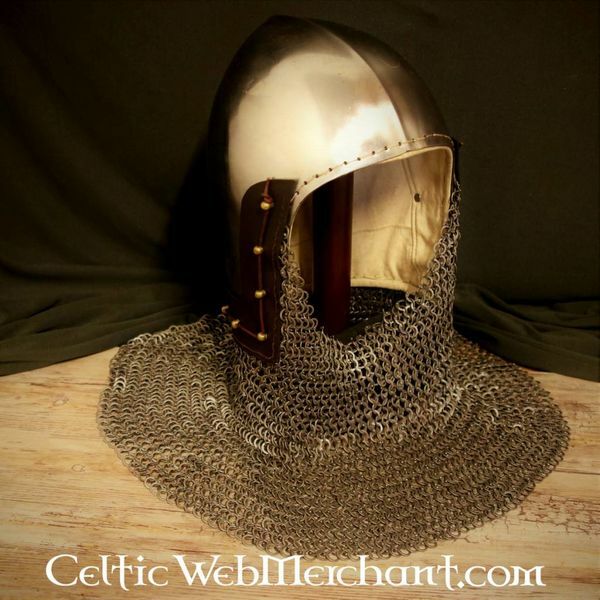 This bascinet is provided with an aventail. 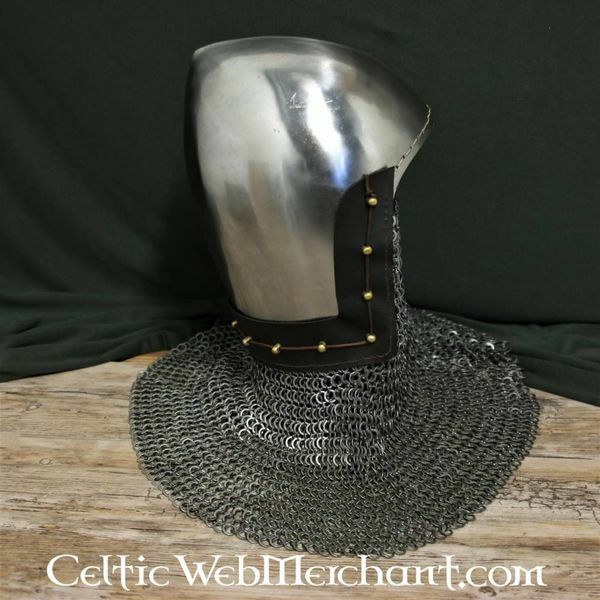 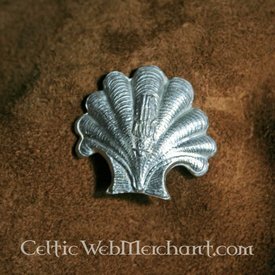 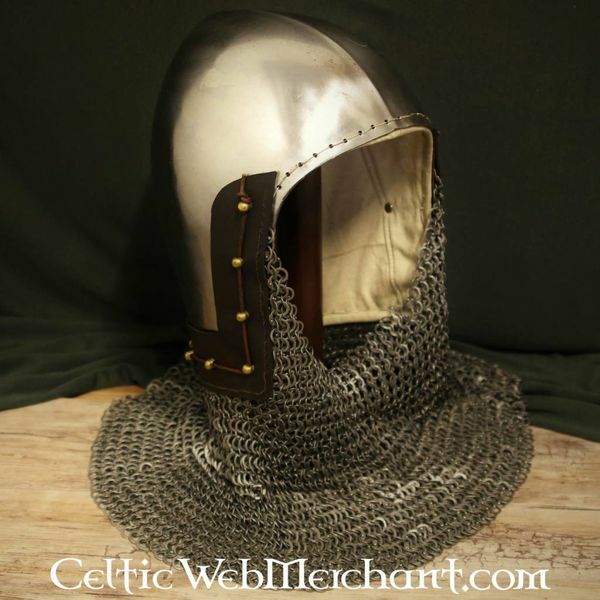 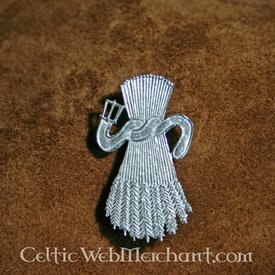 The chainmail is made of spring steel flat rings round rings woven 4-in-1. 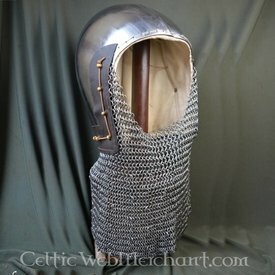 The helmet is available in size M and L and is provided with a textile inlay. This helmet is developed for re-enactment battles.